Other unreleased cars can be seen in the video as well. We recently reported that the developers of Forza Horizon 3 accidentally released a developer version of the game which contained tons of unreleased cars. The leak was substantial, at around 15 GB, and was packed with interesting models. However, the most exciting reveal in this leak was the presence of several models from Porsche. 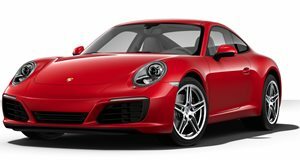 There aren't currently any Porsche models in Forza Horizon 3 because of the exclusive deal that Porsche had with EA. Now, however, that exclusive deal has run out meaning that Porsche can be in Forza again. Porsche was featured in Forza Horizon 2 and Forza 6, but they only came as paid-DLC. We assume that the 18 Porsche models from the leaks will also be part of a paid expansion pack, but it will still be nice to have them. Now, we have our first footage of what these new Porsches and a few other cars will look like in Horizon 3. Keep in mind, this is footage from a developer's version of the game, which means that there are some issues that won't make it to the full game. For example, the Porsche cars have no engine noise in the footage. 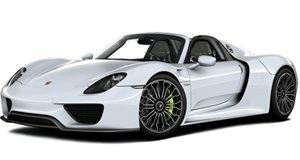 The full list of Porsches found in the leaks includes the 1956 356 A, 1956 550 A Spyder, 1982 911 Turbo, 1987 959, 1989 944 Turbo, 2003 Carrera GT, 2004 996 GT3, 2012 911 GT2, 2012 911 GT3RS, 2012 Cayenne, 2014 911 Turbo S, 2014 918 Spyder, 2015 Cayman GTS, 2015 Macan Turbo, 2016 911 GT3 RS 4.0, 1970 917LH, 1973 911 Carrera RS and the 1995 911 GT2. It will be nice to have Porsche once again, especially since Horizon 3 didn't even any RUF models this time around.